To access the Internet you will need to buy an ETECSA (Internet access) card. There is a password on the card with which you can access your WiFi. Cards are readily available at any place where there is a WiFi network. You just need to show your passport to buy one. The cards on sale are valid for 30 minutes, one hour, or five hours. The price is 1CUC per hour, regardless of which card you buy. 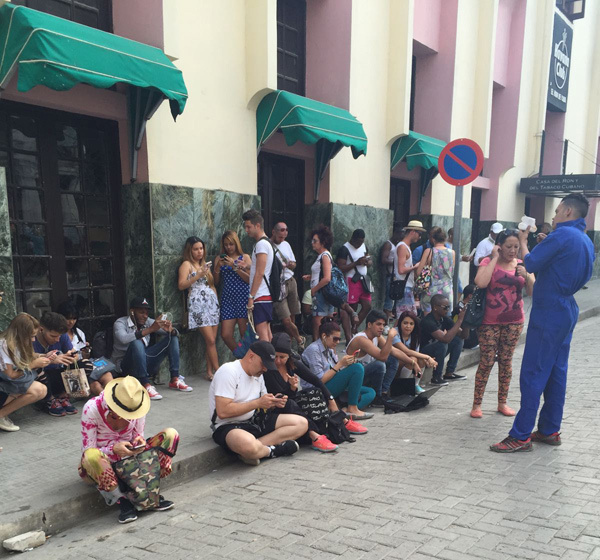 You may have to wait in line to get one, but you can usually find Cubans selling the cards on for a slightly higher price to avoid the wait. You are free to buy as many cards as you like at any time. 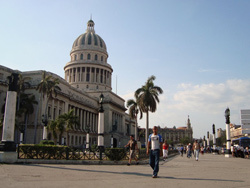 The government in Cuba runs the organisation ETECSA (Empresa de Telecomunicaciones de Cuba S.A.). However, they do not run any advertised WiFi networks that are open to the public, tourists, or Spanish language learners. Despite this, it is really easy to make a connection through your ETECSA card. You can use any modern mobile phone to do so, and hotspots are easily spotted by the number of people hanging around staring at their phones (see image below!). Our school’s local coordinator will also be able to let you know where the nearest hotspot is. Personally, we would relish time away from the world wide web, but we completely understand your concerns! It’s always reassuring to know that you can easily send an email or Skype a loved one. 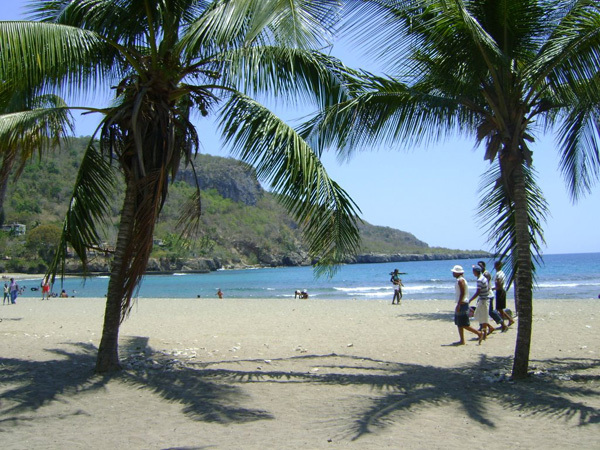 Anyone concerned about travelling to Cuba might like to read this blog post, which was written by one of our past students named Sue Cockell. It contains lots of useful information from her perspective. Jo Franco, of Shut Up and Go, has also attended a Spanish course at our school in Havana and wrote this post. We hope that this information is helpful to anyone considering experiencing the vintage charm of Cuba. As always, if you have any queries about our language courses, or the locations we offer in general, please do not hesitate to contact us.